If you haven't already, clear your schedule from August 31 - September 3. Why? Because that's when the largest comics, sci-fi, horror, anime, and gaming event in Canada comes to Toronto for four glorious days! Fan Expo Canada is the third largest event of its kind in North America and is a giant celebration of all things pop culture. Needless to say, Fan Expo Canada is one of my favourite events of the whole year! If you have never been to a Fan Expo Canada event let me tell you a little bit about it. First of all, Fan Expo Canada is celebrating its 23rd year. It started as a small comic book convention with 1,500 fans and now the event attracts over 130,000 fans from around Canada and around the world. It takes place at the Metro Toronto Convention Centre in the North and South buildings with a massive 750,000 sq. ft. print. With over 1,000 exhibitors, there is something for everyone to enjoy. Fan Expo Canada allows you to get hands on with some of the most anticipated upcoming games from companies such as Xbox, PlayStation, Nintendo, WB Games, Ubisoft and more! Some of my favourite games from last year's event include PSVR demos, Gran Turismo Sport, Gravity Rush 2, Yo-kai Watch 2, ReCore, Gears of War 4, Dead Rising 4, Forza Horizon 3, Killer Instinct, Cuphead, LEGO Star Wars The Force Awakens, and For Honor. Let's just say I spent all four days of last years event enjoying some of the most awesome games ever! This year gaming guests that have been confirmed include Troy Baker, Nolan North, David Hayter, Jennifer Hale, and Charlet Chung to name a few. 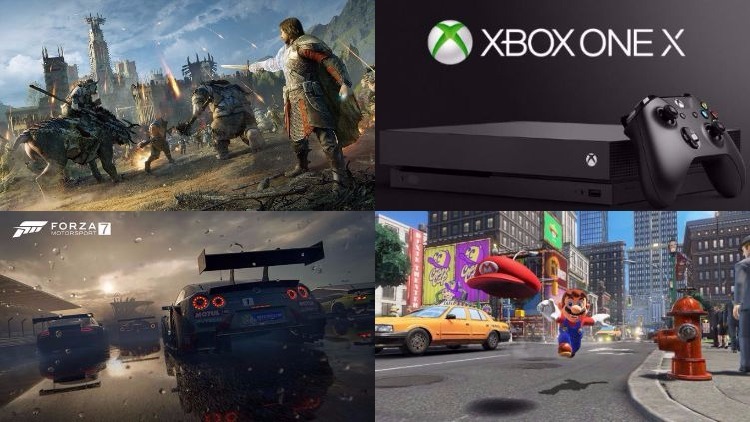 Additionally, games that have been confirmed to be playable this year include Super Mario Odyssey, Forza Motorsport 7, and Middle Earth: Shadow of War. Plus, you'll be able to learn more about the power of the mighty Xbox One X! Head on over to the Fan Expo Canada website to purchase tickets and check out some of the other non gaming events. Let me know in the comments section what you are most excited to see at this year's Fan Expo Canada event.